I don’t think it’s possible for me to love cranberries anymore than I already do. I’m not much of a ‘’only for Thanksgiving and Christmas” kind of woman either. I eat cranberries all year long. Fresh cranberries, dried cranberries, cranberry sauce (whole berry or jellied), cranberry juice, cranberries in my oatmeal, cranberries in my chicken salad, cranberries in my stuffing…well, I could go on and on but you get the idea. In fact, I have so many cranberry ideas that I could spend weeks making them! 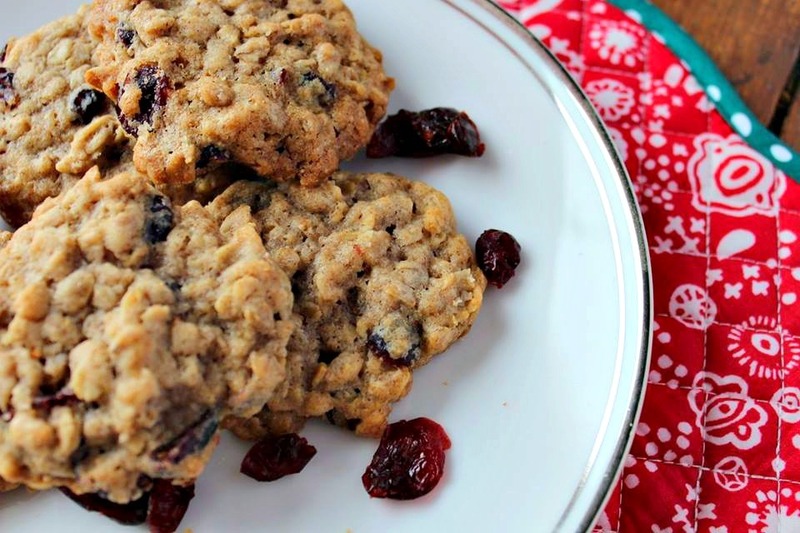 This Chewy Oatmeal Cranberry Cookie recipe came out of combining my love of cranberries with my affinity for oatmeal cookies. Note: You can use either one of these options, both, or neither and still have really yummy cookies! These are also really delicious made without any of the chocolate IN them and instead, melting it and drizzling it over the top of the finished cookies. Begin by preheating your oven to 350 degrees F. Cream the butter (yogurt), brown sugar, and white sugar together. The mixture should look creamy and fluffy. Mix in the eggs and the vanilla. Stir together the flour, salt, baking soda, and spices. Add the flour mixture to the butter mixture, a little bit at a time, mixing well. Stir in the rolled oats a little at a time until well blended. 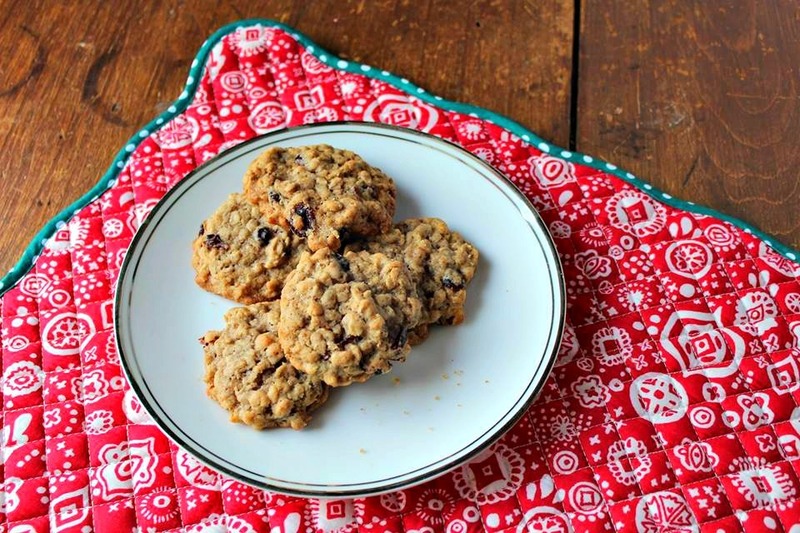 I find the cookies mix better by adding the flour mixture separately from the rolled oats but you can do them all at the same time if you prefer. Finally, add in your dried cranberries and any of the optional ingredients, stirring in until distributed throughout. Drop cookie dough by teaspoonful onto your baking sheet. You can line the baking sheet with parchment paper or use my preference, a silicone baking sheet such as a Silpat. I like to use a cookie scoop – like an ice cream scoop but smaller – instead of a teaspoon. Bake for about 10-13 minutes until cookies are a light golden colour. Note: Oatmeal cookies are slightly soft when they come out of the oven so be careful not to overcook them or they will come out quite hard. Cool on a rack. That’s it! Such an easy cookie recipe, right? I find that often during the holidays, the cookies are super sweet variations of sugar or shortbread cookies. Don’t get me wrong – I adore those! 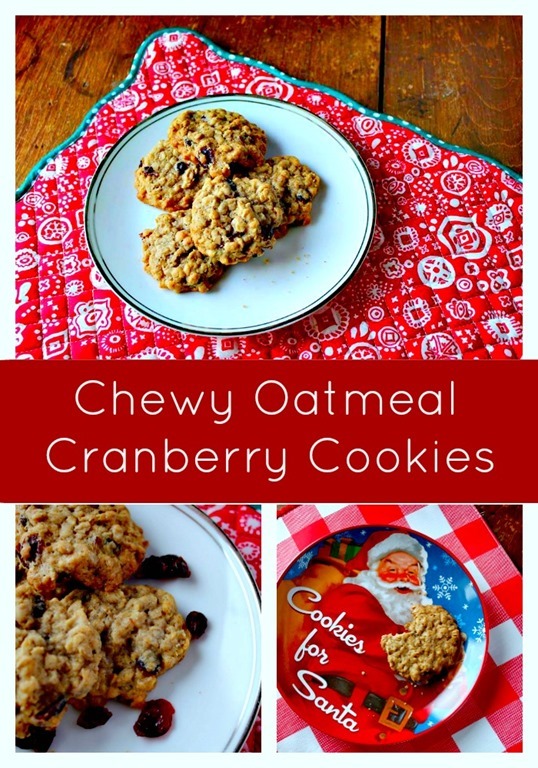 – but it can be nice to have something like this Chewy Oatmeal Cranberry Cookie recipe on hand so you can add some with a bit more texture to them. Yummy! This sounds like the perfect combination!